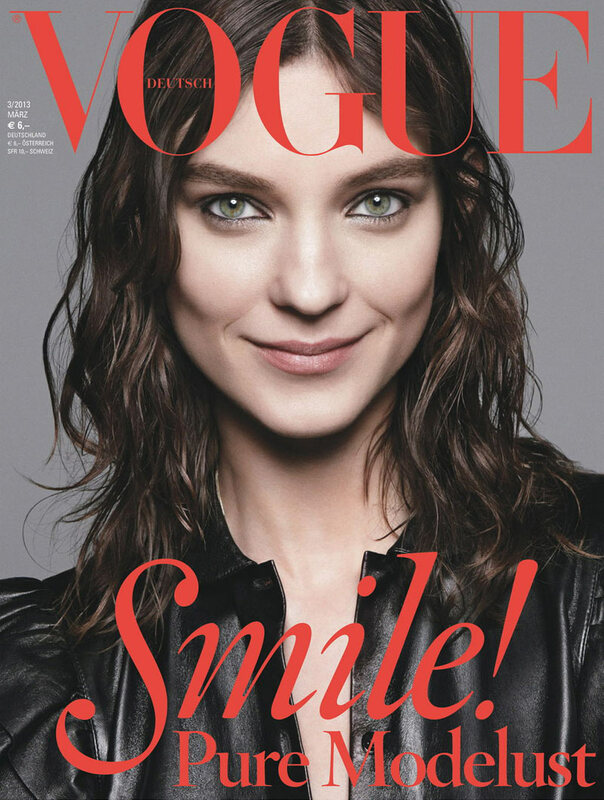 Don’t Worry, Be Happy – Vogue Germany taps three top models to cover its March 2013 edition. 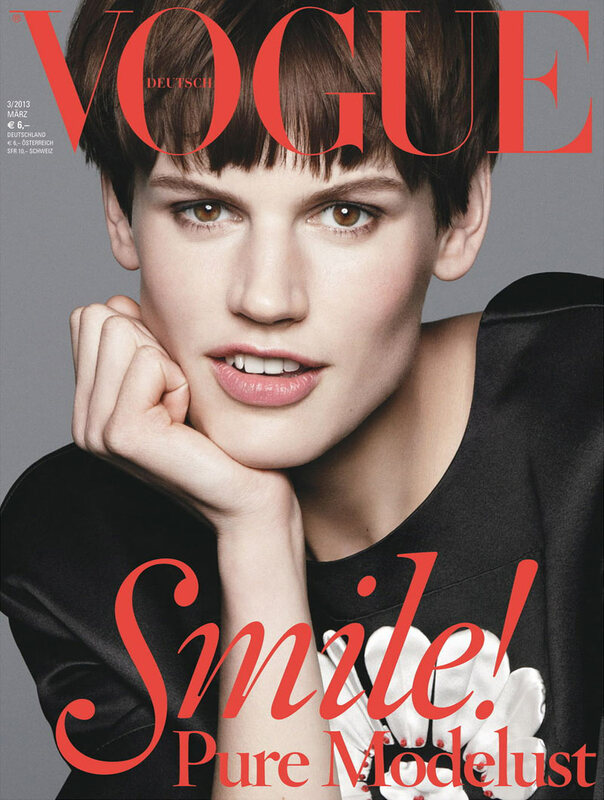 Doutzen Kroes, Saskia de Brauw and Kati Nescher show off their best smiles in a trio of covers photographed by Daniel Jackson. Wow, Doutzen’s eyebrows! These covers are adorable. Probably not the word they wanted, but it’s still great.